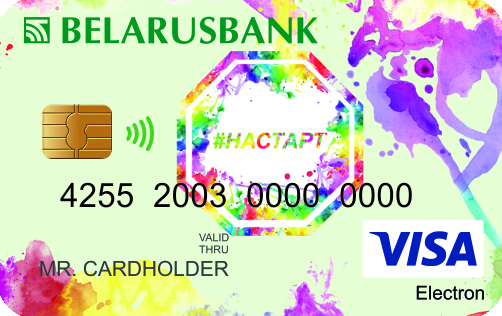 Belarusbank is the largest issuer of bank cards (hereinafter – cards) in the Belarusian market and offers a wide range of BELCARD, Visa International, MasterCard Worldwide cards. 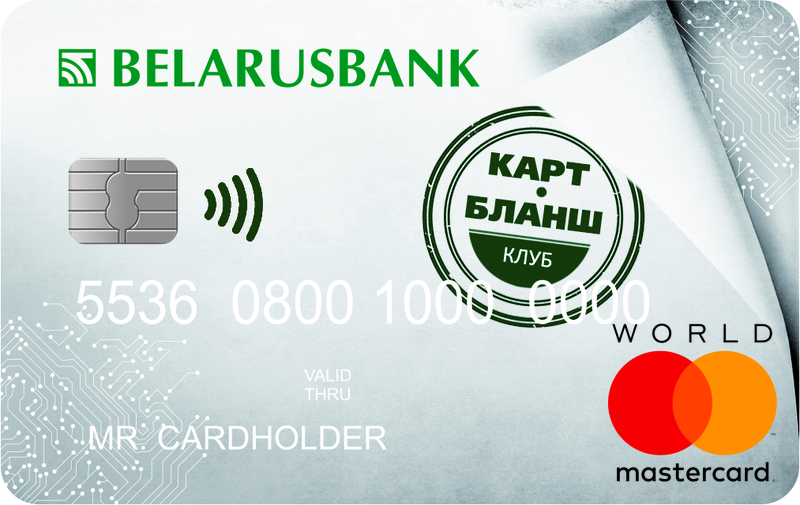 A card of Belarusbank is a fully-fledged payment instrument that allows conducting a wide range of financial operations and, if necessary, withdraw cash via various payment channels regardless the time and place of transaction. 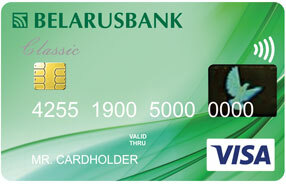 Depending on the assumed application area both international cards Visa, MasterCard with an account in foreign currency (US Dollars, euro, Russian rubles) or in Belarusian rubles accepted all over the world, and BELCARD cards with an account in Belarusian rubles for performing transactions only within the Republic of Belarus can be emitted. 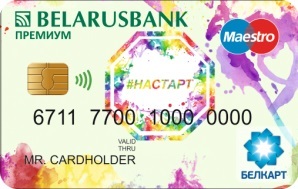 BELCARD cards for use only in the territory of the Republic of Belarus include special cards for senior customers, students and children aged six and older. participating in advertising campaigns (games, actions) conducted from time to time by the bank or BELCARD payment system. 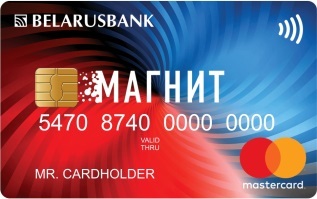 Installment card "Magnit" is an easy and profitable solution for any financial task: payments in the territory of the Republic of Belarus and abroad either using your own fund or using an overdraft. Validity period – 3 years. 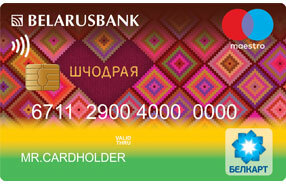 "Barkhat" club – an offer by Belarusbank for senior citizens who lead a busy life, love to travel and know the value of time. refund (cashback) of up to 12% to the account. 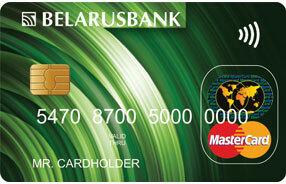 goods and services in Belarusian and foreign online stores. Club "Carte Blanche" is a special offer for those who are always ahead! "Carte Blanche" was created for true travelers who love going to both holiday and shopping tours around the world! 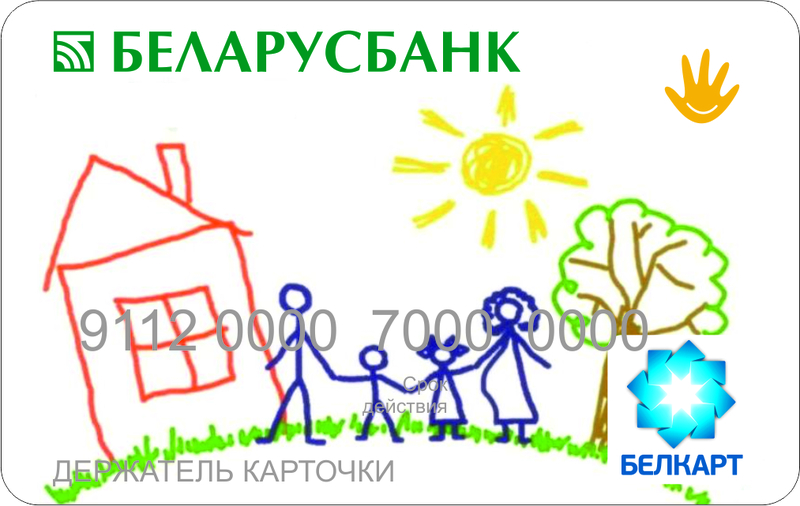 "Shchodry" Club is a generous offer of the bank for those who appreciate the important things and keep track of the important issues. 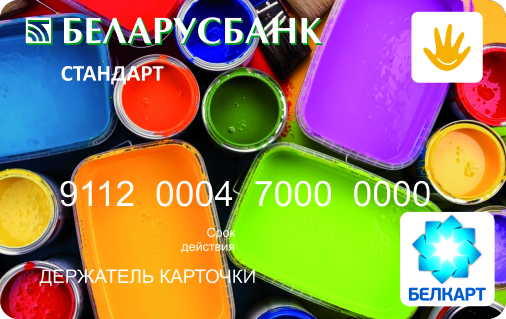 Members of the "Shchodry" club can use popular tools and services of the bank on specifically developed and favorable terms. "Persona" club leads to a world of exclusive offers and highest service quality. "Persona" club is one of the most prestigious offers of the bank for the most exacting and wealthy customers who travel often, know the value of time and are used to receiving high quality service. premium service (only when an agreement for personal service within the "Persona" club is concluded). possibility to visit VIP-halls of airports around the world within the Lounge Key program (2 free visits). 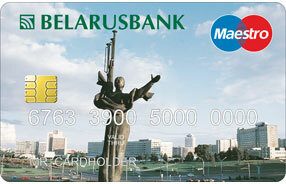 possibility to open a term irrevocable bank deposit in Belarusian rubles "Successful Irrevocable". possibility to order a service of trust management of funds in foreign currency. special conditions for overdraft loans. 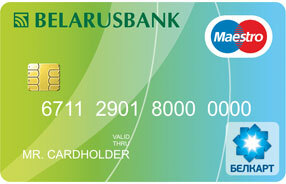 insurance against incidents and sickness during a trip abroad for the cardholder (CJSIC "Promtransinvest"). account statement for any period. 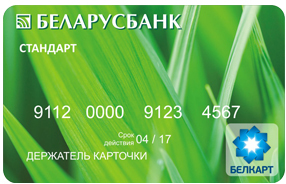 urgent card issuing within the club for customers of bank's branch offices located in Minsk. possibility to visit VIP-halls of airports around the world within the Lounge Key program (4 free visits). 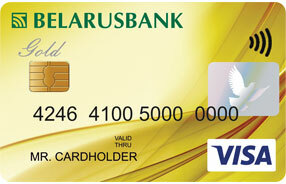 urgent issuing of cards within the Club for customers of bank's branch offices located in Minsk. 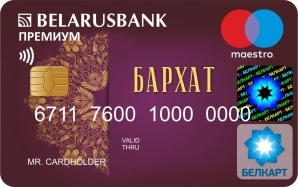 The whole list of bank's products (apart from BELKART-Maestro, BELKART-PREMIUM-Maestro within the "Barkhat" club, Mastercard World within the Carte Blanche club, BELKART-PREMIUM-Maestro, Visa Electron within the # On Your Marks club, Mastercard Standart, BELKART-Maestro within the "Shchodry" club, Visa Platinum, Mastercard World Black Edition within the "Persona" club and Magnit installment card). In a branch office of the bank. - confirmation of employment from the place of work of an individual - non-resident. 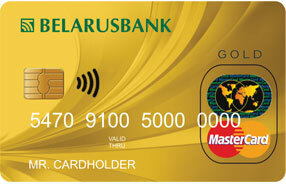 - Visa Gold, MasterCard Gold (amount of security deposit). A security deposit is not set up for a non-resident individual, who has an account to which salary is credited regularly (for more than three months), which is confirmed by a statement of the correspondent account. *security deposit means funds deposited with a bank to secure fulfillment of customer's obligations for performance of transactions within the fixed overdraft limit and (or) balance of customer's account when using cards. 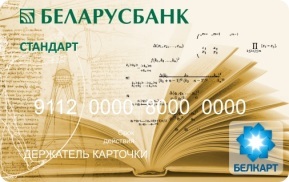 To be used only in the Republic of Belarus BELCART, BELCART “PhotoCard”(“PhotoKarta”), BELCART “For Children” (“Detskaya”), BELCART “PhotoCard for Children” (“Detskaya PhotoKarta”), BELCART “For Students” (“Studencheskaya”). 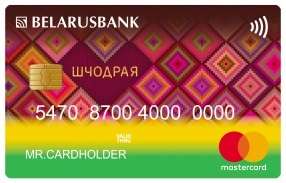 International cards: Visa Classic, MasterCard Standard, Visa Classic “LadyCard” (“LadyKart”), Visa Gold, MasterCard Gold. - notarized translation of the personal identification document. 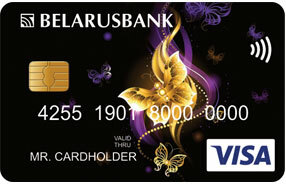 International cards of Belarusbank include low cost Maestro cards, cards with wider possibilities Visa Classic, MasterCard Standard, prestigious Visa Gold, MasterCard Gold, and premium class cards Visa Platinum, MasterCard World Black Edition. 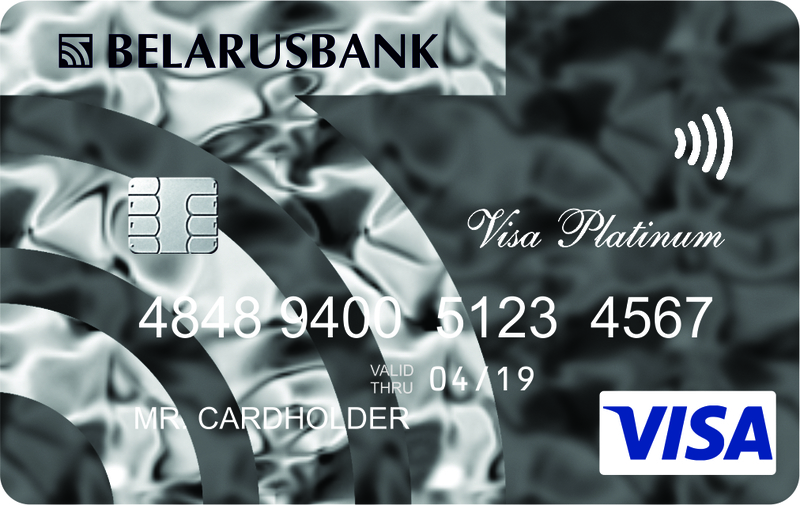 enjoying various benefits granted by Visa, MasterCard and other payment systems, which includes participation in advertising campaigns (games, actions) conducted from time to time by the said payment systems. 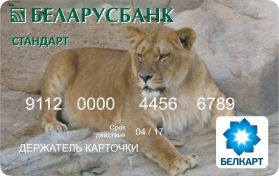 *Documents furnished to an office of Belarusbank must be made in Russian or Belarusian or must be translated into Russian or Belarusian, in this case correctness of the translation must be attested notarially or the translation must be certified (attested) by a foreign designated person (body, institution) within their competence.